Consolidating all your fuel expenses on to one card program means you can see all of your purchases in one view. Our state of the art controls allows you to set purchase controls for tighter expense management and enable prompts for improved fraud protection. Manage your account, add cards, turn off cards, and review invoices are a few of the ways our simple online access helps you monitor your fleet program. All of our security and fraud controls are at your fingertips from our online account management portal. Start saving money for your fleet business today by choosing the right one. Fleet managers can save anywhere from 10-15%† when selecting a fuel management solution. 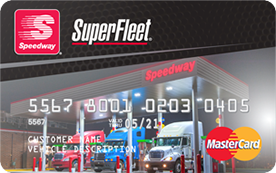 Just answer a few questions about your fleet and one of our experts will recommend the right fleet card program tailored to fit your business needs. † A Fleet Financials survey shows that, on average, fleets that change from no fuel management program to a managed fuel program realize savings of up to 15% on their overall fuel management costs. * Fees may apply.